Lightweight and versatile, this machine is perfect for tackling light dirt over larger areas. The additional home kit includes a T150 patio cleaner and 500 ml patio and deck concentrate. If you require any further assistance please call our office on 01473 636663. The K2 Premium Full Control Home Pressure Washer is the perfect piece of kit for a variety of outdoor cleaning tasks. Whether you’re looking to gently clean delicate paintwork on your car, or to remove stubborn dirt from an old wall, our Full Control click system will help you select the perfect pressure for every surface. Our new Full Control click system gives you the comfort and assurance that you are using the correct pressure setting for the cleaning task at hand. The machine comes with an extendable handle and wheels to make it easy to move around, with the cables, hose and accessories all stored neatly on board. 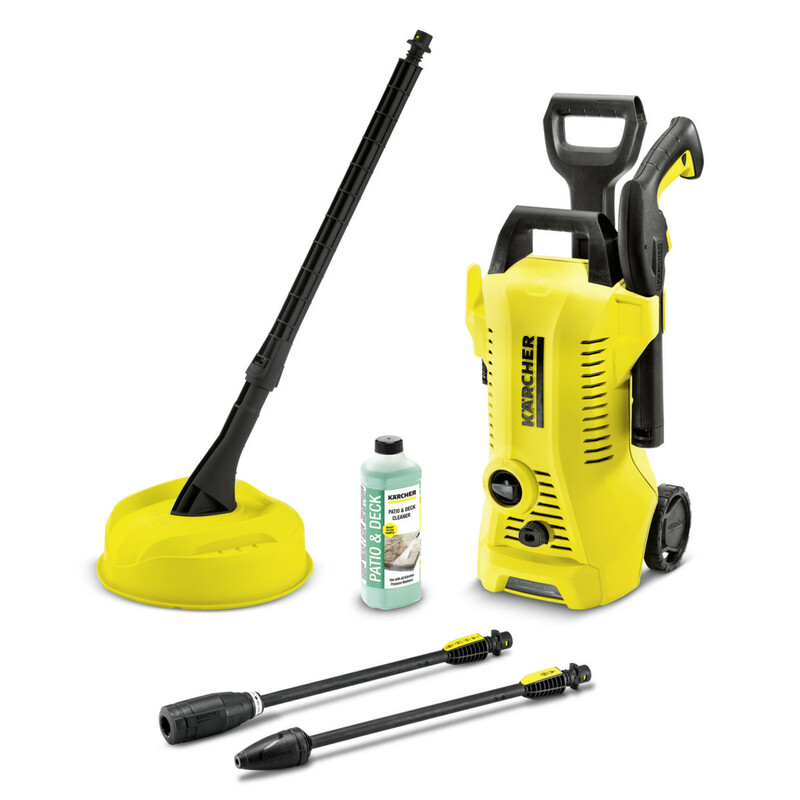 The K2 Premium Full Control Home Pressure Washer comes with a trigger gun, Full Control Vario lance and Dirt Blaster lance that delivers outstanding cleaning performance using concentrated rotating pressure; this model also includes a built in detergent tank for mess-free cleaning and a Home Kit, which includes a T150 patio cleaner and 500 ml patio and deck concentrate. With an impact-resistant and durable plastic casing the K2 Full Control Home is the perfect cleaning tool for any task. The machine comes with a 2 year warranty.